The creation enthrals the being with its innate beauty and serenity, and our sacred Himalayas are the epitome of mother’s nature biggest miracle. Himalayas are not just an abode of snow or mighty range, but holds revering significance for people of varied cultures. Literally defining the word ‘Hima’ in Sanskrit is ‘snow’ and the word, ‘alaya’ means ‘abode’; also known as ‘Giriraj’ or ‘King of Mountains’. Thus Himalayas are the soul of God and a deity in itself. The spiritual centre of the world is the abode of supreme Lord Shiva, who lives atop Mount Kailash. The sacred holy dhams of Hindus i.e. Kedarnath, Badrinath, Gangotri and Yamunotri resides in the Himalayas. It is home to India’s most significant spiritual spaces like the Kailash Manasarovar, Amarnath, Vaishno Devi Temple, and many beautiful monasteries and Buddhist gompas. Three influential Sikh pilgrimages are also located in the sacred Uttarakhand Himalayas. The Himalayas is the source of the Indus Basin, the Yangtze Basin and the Ganga-Brahmaptura, which are three of the world’s primary river systems. Mount Kailash in Himalayas holds sacred values for Jains, Buddhists, Tibetans and Hindus; and consider the Kailash Parikrama as the source of Nirvana. The majestic, serene and tranquil ambience makes the existence of Himalayas as eternal and timeless. The aura of peace and calmness has attracted numerous saints and sages like Adi Sankaracharya, Guru Gobind Singh, Swami Vivekananada, and many others. Himalayan Sacred Walks provides the opportunity to soak in the sacred energies of the enchanting and majestic mountains and come back deeply transformed. This entry was posted in Piligrimage and tagged abode of Gods, abode of snow, ambience, badrinath, blessings, Buddhists, calmness, divine, eternal, gangotri, Giriraja, Guru gobind Singh Ji, happiness, have a lilttle faith, Himalayas, Hindus, kedarnath, King of Mountains, lord shiva, Mount Kailash, mountain range, nirvana, peace, sacred hills, shubhpuja, shubhpuja.com, spiritual, Swami Vivekananda, Tibetans, tranquil, yamnotri. Relationship between full moon and its varied effects have been known for years, as this is the crucial moment when the connectivity between human and divine is quite strong. Be it biological, emotional, health related or spiritual; the waxing and waning of moon affects the lives of all living beings. It is a time of positive opportunities that knocks our door, and it depends upon us to utilise them or let them go. The impressions in our sub-conscious mind gives rise to numerous thoughts and thus affect our personality and thought process. 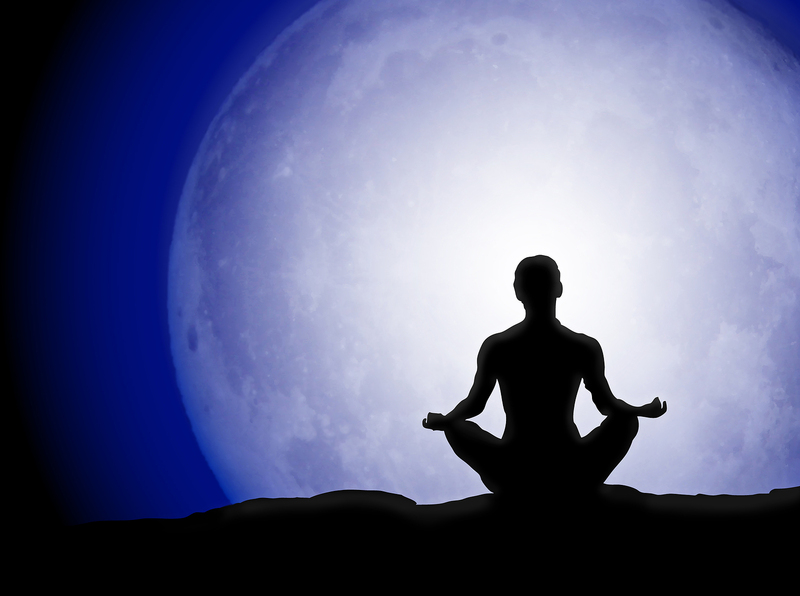 So the full moon frequencies has the power to make the thought frequencies from our sub-conscious mind, surface to the conscious mind; where they can be evaluated and solved. An increased activity of mind is observed on full moon day and it also decreases the raja-tama components due to strong illuminations. It is a perfect time to manifest your dreams, so positive thinking and focussing on your goals can empower you with energy to make them true. The active frequencies are the best time for sending long distance healings, forgiveness, and love energies. Strong pull on the earth creates tangible effects and minimal raja-tama energy is available for the evil or occult powers, so the positive energies dominate. The full moon day is a 5 day process, during which the divine waves helps us to focus on our personal growth and spiritual accomplishments. The full moon is associated with love, prophesies and child birth and is a source of power to effect positive changes and inspiration. Our body has a field of energy – the aura – which is the same as the aurora or magnetic and gravitational field of the planet; this day makes the individual aware about the oneness with Universal force. This entry was posted in Astrology and tagged ancestors, astrology, aura of full moon, auspicious, blessings, book now, celebration, consultation, divine, empowerment, energy, environment, evil, faith, fortune, full moon day, grace, gravitational pull, happiness, have a little faith, health, Hindu, human beings, illuminations of full moon, long distance healings, love, magnetic field around earth, oneness, personal growth, personality, pooja, positive energies, prosperity, puja, Raja-tama component, raja-tama effect, religion, rituals, shubhpuja, shubhpuja.com, significance, spiritual effects, spiritual needs, sub-conscious thoughts, success, Universal force, vibrations, worship. What does number 3 says for you? The number 3 is symbolic to the planet Jupiter, which plays an essential role both in Astrology an in all the systems of Numerology. It is one of the main lines that run through all the numbers from 3 to 9. 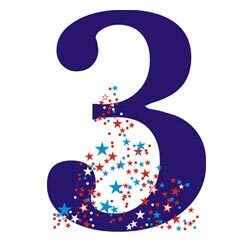 People having a 3 as their birth number are all those who are born on the 3rd, 12th, 21st or 30th in any month, but are considered more lucky if they are born in ‘period of 3’; from 19th February to March 20th-27th or from 21st November to December 20th-27th. All the people born in this series i.e. 3, 6, 9 are sympathetic to one another. They are quite ambitious and are never satisfied by being in subordinate positions. They love to have the power. They are excellent in the execution of commands, and follow order and discipline in everything they do. They often rise to the very highest positions in any business, profession or area in which they are found. Excel in positions of authority in the army and navy, in government, and in life as a whole. They are extremely conscientious in carrying out their duties. They are singularly proud, they dislike being under an obligation to others ad are exceptionally independent. They insist on carrying out their own ideas, therefore turn out to be quarrelsome at times. The lucky days of the week for them are Thursday, Friday and Tuesday, especially if number making a 3 fall on them. Their lucky colours are shade of mauve, violet, or purple and this should also be present in their rooms they live. Their lucky stone is the amethyst and should possibly wear next to their skin. This entry was posted in Numerology and tagged 3, 6, 9, ambitious, amethyst, ancestors, astrology, auspicious, authoritative nature, birth number 3, blessings, book now, consultation, divine, dutiful, faith, fortune, have a little faith, independent, Indian, love, lucky colours, lucky number, number 3, numerology, Planet Jupiter, prosperity, shubhpuja, shubhpuja.com, success, sympathetic, traits of number 3. Is your ‘Line of Children’ clearly defined? The curiosity of bearing children and unravelling the suspense of future is often witnessed among everybody. It seems a wonderful prediction, but one has to give the entire detail of the main lines on hands. 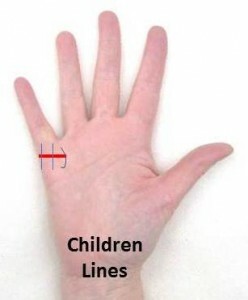 The lines relating to children are the fine upright lines from the end of the line of marriage. At times they are very fine and thin, which requires careful observation through microscope. Broad lines denote males; fine, narrow lines denote females. When they are clearly marked they denote strong, healthy children; whereas when they are very faint or wavy, it symbolise the reverse. When the first part of the line is a little island like, the child will be very delicate in its early life, but if it is well marked farther, it will eventually have good health. When one line is longer and superior to the rest, one child will be more important to the parent than all others. So both the parents might have similar or even different lines, yet if they are clear and defines on both then the man will be exceptionally fond of children and will have an extremely affectionate nature towards kids. This entry was posted in Palmistry and tagged auspicious, blessings, broad lines, children, consultation, divine, energy, fate, fortune, future, hand, happiness, have a little faith, health, healthy children, Indian, kids, line of children, longer lines, love, Marriage, narrow line, palm, palmistry, parents, prediction, rituals, shubhpuja, shubhpuja.com, success, worship. What does the hair on your hands says? 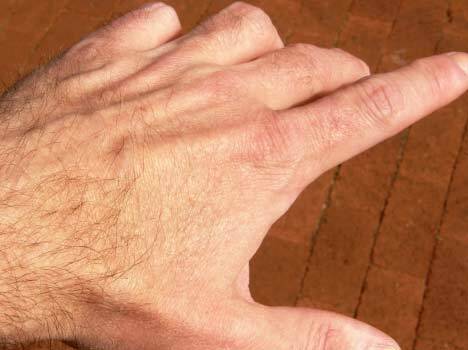 Though it might appear strange to you, yet the hair growing on our hands, although seemingly unimportant, is also an essential note of study in Palmistry. The hair is used by nature to fulfil a great many useful purposes in connection with the body. Each hair in itself is a fine tube, in connection with the skin and the skin nerves. These hairs or tubes are the escape-valves for the electricity of the body, and by the colour they take in the passage of that electricity. Thus the flow of electricity and amount of iron or pigment in the system decides the colour of the hair. People with less iron and dark pigment in the system have fair or blond hair and they are more languid, listless, gentle and more influenced by people and surroundings than those of the darker type. People with dark hair are often less energetic in work, but have more passion in temper and are more energetic in expressing affection. As the system gets old or becomes enfeebled by excess or dissipation, the electricity, not being generated in such large quantities is nearly or entirely consumed by the system itself; the pigment is no longer forced into the hair tubes. It also happens in case of a sudden shock or grief- as the hair stands on end from the force of the nervous electric fluid rushing naturally. In America, the logic behind white hair is due to the high pressure at which they live. This entry was posted in Palmistry and tagged auspicious, blond or fair hair, coarse hair, dark or black hair, dissipation of electricity through tubes, divine, electricity, energetic, energy, environment, expressing affection, faith, fortune, future, hair on hand, have a little faith, health, high pressure, iron, nervous system, palmistry, pigment, pooja, puja, rituals, shubhpuja, shubhpuja.com, success, white hair, worship. Cleansing is a form of decluttering and getting your home rid of every extraneous useless object that is clogging up the energies in your basement, staircase, closets, box beds, drawers and kitchen almirahs. So there should be just two types of things in a house, one which has an aesthetic value and second which is useful. So as per vastu, clutter should be avoided to maintain the positive energies. Clutter in the north-east direction of the house will obstruct the flow of prosperity into your life. Keep the tops of tables, fridge and counters free from accumulation of objects. A cluttered environment reflects a perplexed mind; so by getting rid of useless and extra objects you are making way for a new, fresh and positive approach to life. 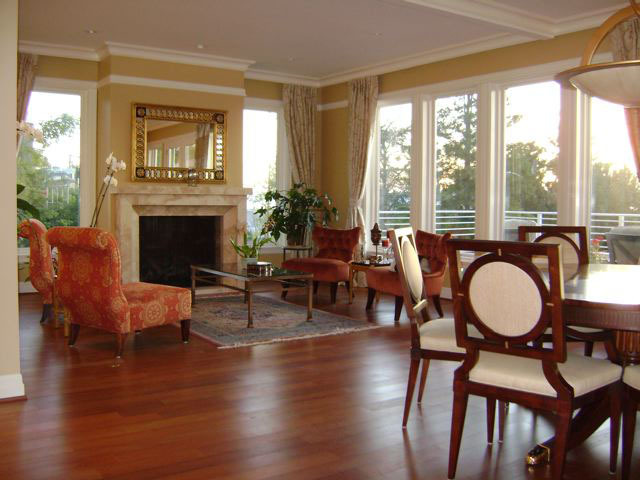 The simple way of keeping the house neat and tidy is the key to enhance the energy of a space. Removing the cobwebs from dark, dingy, disused corners and airing them occasionally removes the negativity from the house. Enhancers like adding lampshades, torans, pictures and artefacts and the intention to improve the environment can bring magical effects in your home. Gayatri mantra or sacred chants of your faith can be played early morning in the house and has a purifying and calming effect. Sprinkling of rock salt and mopping the house daily with salt water, removes the evil energies. Vastu pujan and Vastu shanti havans can bring about positive changes in a house, office or factory. The medicinal herbs and shrubs used during havan act as an aura cleansing of the place. This entry was posted in Vaastu and tagged auspicious, blessings, cleansing, clutter free corners, consultation, dharma, enhancers, evil energies, faith, family, fortune, future, gayatri mantra, grace, House, love, medicinal herbs, neat and tidy house, north-east direction, pooja, positive, puja, puja package, restoring energy, rituals, rock salt, shubhpuja, shubhpuja.com, vastu pujan, vastu shanti havans, vastu shastra. The zodiacal sign of Aquarius commences on January 21st, but for seven days, being overlapped by the ‘cusp’ of the previous sign, it does not come into full power until January 28th. Similarly from this date onwards it is in full strength until February 19th. These people are generally lonely in life; they are over sensitive, and easily wounded in their feelings. They read character instinctively, and for this reason they see through people too easily. They are not demonstrative in affection, but feel very deeply. If they like they fight to the bitter end for their friend or family, but if they dislike then they are just as intense as they belong to lower plane of humanity. They are usually high-strung, and their nerves are generally overwrought. Being over hyper, they usually say or do things that they regret later. They are very active for the public welfare, and will give their best to relieve the stress of others. They are good reasoners, and are very successful in debate and arguments. They are excellent in business and finance when they apply their minds to such things. They have visions, imagination and invention. They have a controlling power and often subdue others with their eyes. Their greatest fault is that it generally takes some sudden call of circumstances to make them ‘make the most of themselves’. They are inclined in ordinary conditions to let their opportunities slip, or realise them only when it is too late. They have their best bond with those born from May 21 to June 20 and September 21 to October 20 or 27; by adding the seven days of cusp. They usually suffer from stomach issues, and delicacy of eyes due to bad circulation. The favourable colours for them are all shades of electric blues and electric greys. The birth stones for the period are sapphires, pink topazes, and moonstones. This entry was posted in Astrology and tagged affectionate, Aquarius, astrology, auspicious, blessings, consultation, controlling power, creative, cusp, cusp of previous sign, debate and arguments, energy, environment, faith, favourable colours, February born, February born traits, have a little faith, health, lonely, love, month, pink topazes, puja package, sapphires, shubhpuja, stomach issues, success, vedic astrology, zodiac signs.